Many of the apps in the iOS App Store are free, and many of the important services that you need to use every day have their own dedicated apps. So it is easy to start downloading any relevant apps that you encounter. 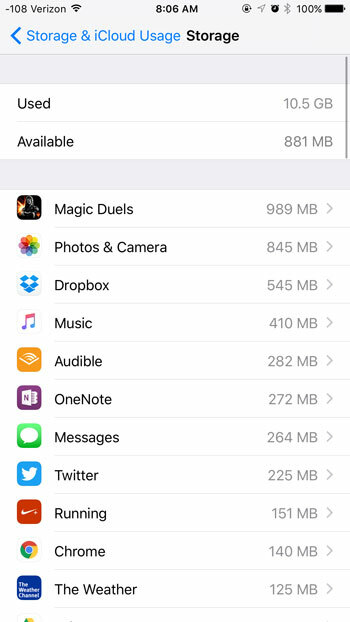 Unfortunately there is a limited amount of storage space on many iPhone models, so you may eventually encounter a situation where you need to free up some storage space on your device to make room for songs, videos, or more apps. 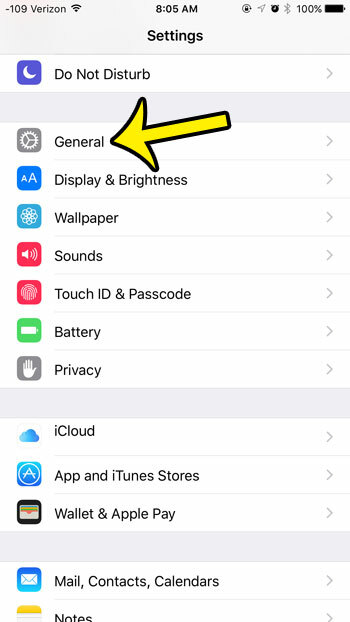 There are two different ways that you can delete an app in iOS 9, although one of the methods is much quicker than the other. 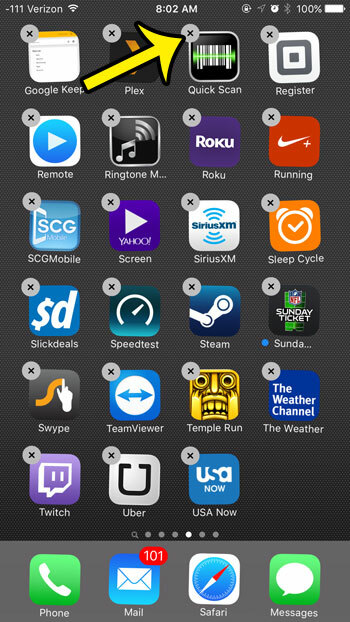 Our guide below will show you both of the ways that an app can be deleted from your iPhone. The steps performed in the article below will work for any iPhone model that is running iOS 7 or higher. You will notice that some of the apps on your device do not have a small x at the top-left corner of their app icons. These are default apps, and cannot be deleted. 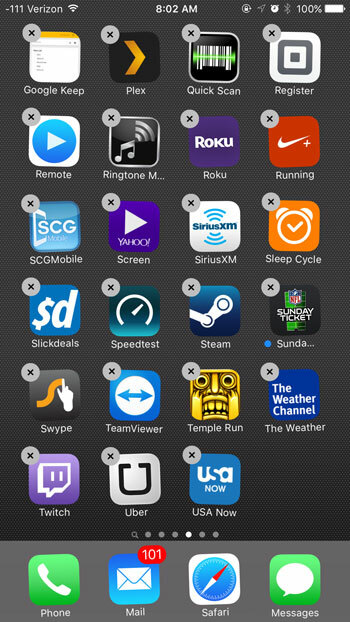 Tap and hold the icon of the app that you want to delete. 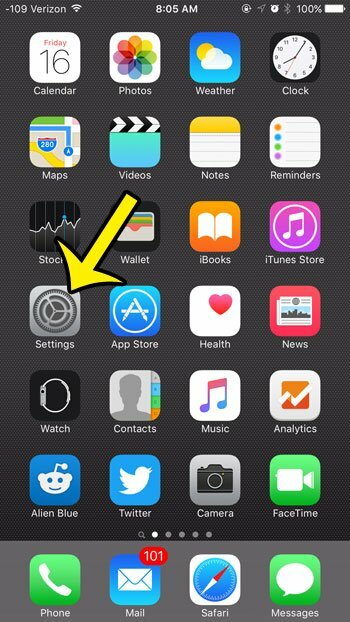 The app icons on the screen should start shaking, and a small x should appear at the top-left corner of many of the icons. Tap the small x at the top-left corner of the icon for the app that you want to delete. 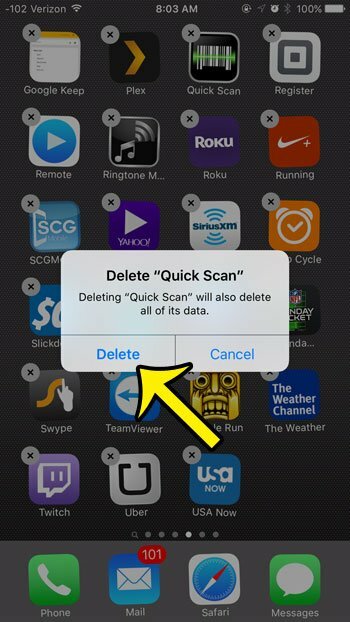 I am deleting the Quick Scan app in the image below. Tap the Delete button to confirm that you will also be deleting the data for the app. You can then tap the Home button under your screen to exit this mode and stop your app icons from shaking. 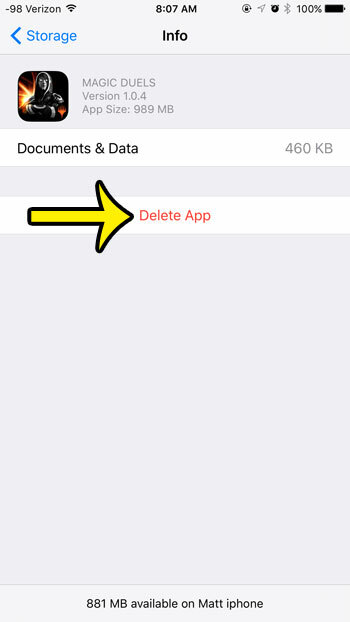 iPhone apps can also be deleted in iOS 9 from the Settings menu, using the steps below. 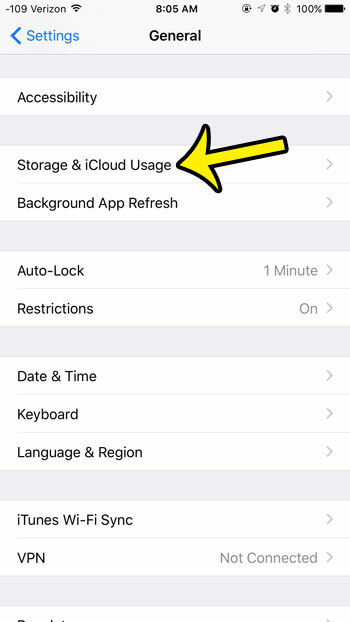 Tap the Storage & iCloud Usage button. 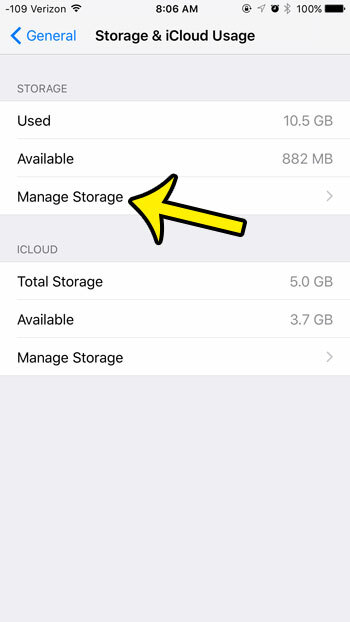 Tap the Manage Storage button under the Storage section of the menu. Select the app that you want to delete. As mentioned earlier, the default iPhone apps cannot be deleted. Tap the Delete App button. Tap the Delete App button at the bottom of the screen to confirm that you wish to remove this app from your device. Are you unsure about which version of iOS in on your device? You can check your iOS version by performing just a few short steps.